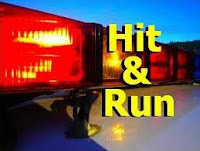 Cab hit & run Reviewed by Edgeville Buzz on January 11, 2011 . According to the Chicago News Report a cabbie struck a pedestrian with it’s vehicle and fled the scene on Sunday evening on the 5200 block of North Sheridan. The victim was badly injured according to the report.